i own a comic book that showed the punisher running over wolverine with a steamroller, no joke. Amazing but add fangs next time. Great pose and the textures are amazing! Nice work! The colours are amazing. This came out incredible! 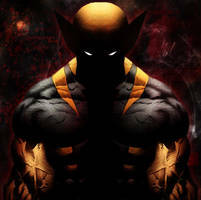 Its about time someone put a Wolverine in the group that is worth looking at! Awesome work. Nice work buddy!!!! Love the lighting.